Lucky Athena got a new dress from the A/W Frugi collection because she is growing at a rate of knots! 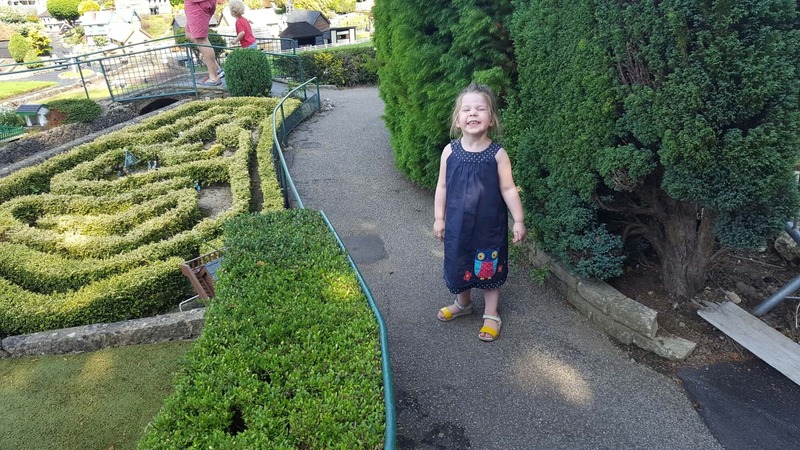 She only turned three in June but is now outgrowing all her 3-4 sized clothes so when it came to choosing something I thought she could do with a new dress to get us started on her new wardrobe in a bigger size! What she (and I!) 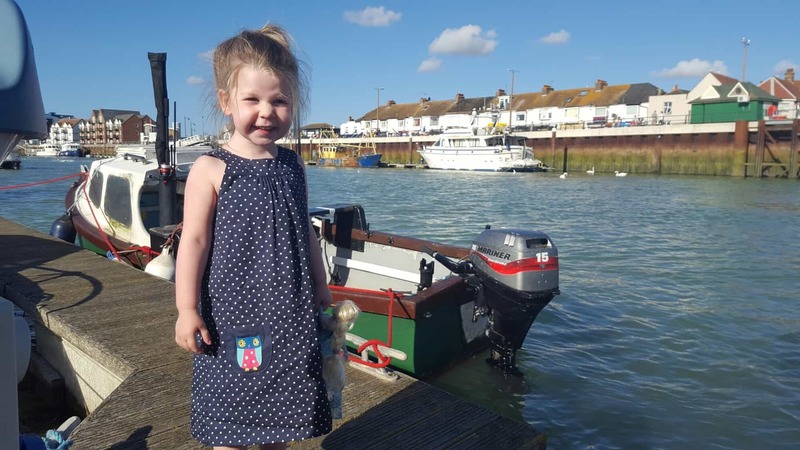 love about the Hannah dress is that it is reversible, so you can have a plain dress with the Owl applique and a polka dot trim at the neck and hem, or turn it inside out and have an all-over spotty dress with a pretty little owl pocket! It’s made from Frugi’s gorgeously soft organic cotton, and has buttons that do up at the neck. It’s probably a little long for Athena right now but it still looks lovely and there is plenty of growing room! She can run, climb and spin in it as it’s cut to allow plenty of movement, just like all kids clothes should be! I’ve only had to wash it once (now that madam is capable of eating a meal without dropping it on herself!) but I can confirm that it looks and feels lovely after being washed at 30 degrees and hung to dry! Oh, just watch out for whatever it is your little darling might stash in the pockets before you pop it in the wash! I found an empty kinder egg and a small stone! The neckline is really flattering, and will look perfect with a cardigan and woolly tights. 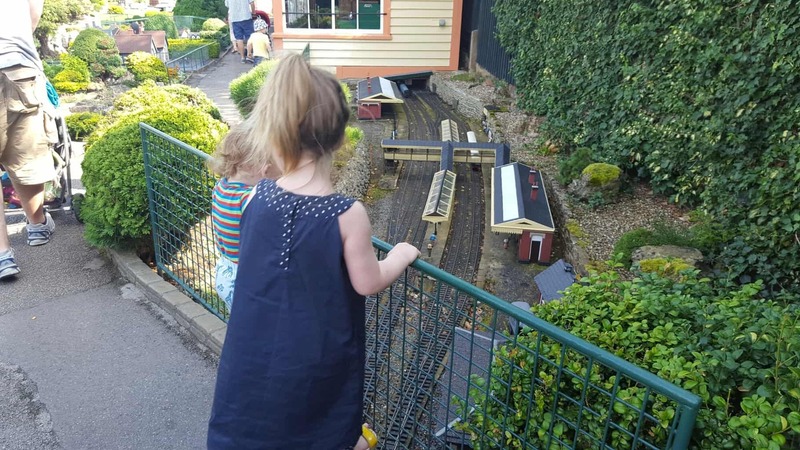 It was also perfect for a recent holiday as its 2 outfits in one… when one side gets too much ice cream dribbled down it you can just reverse it… but happily it came out as good as new in the wash! 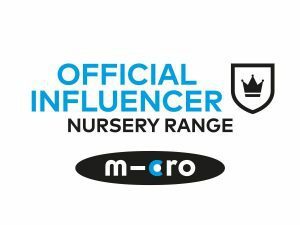 There are so many gorgeous pieces in the new collection, and as part of the #FrugiFamily there are some more bloggers sharing their picks so head on over to see which set of Amber and Kirsties little twins at Goblin Child is showcasing something gorgeous! Click the Frugi logo to head to their website to check out the rest of the new drop! Aw how adorable! I love that it is reversible. So gorgeous! We picked the teal version for Mia and we love it so much! I love the little quirky touches on Frugi clothes, like that owl pocket and being reversable, perfect! Awwwh she looks fab!! Love her adorable smile and you’ve got to adore a reversible anything!! Such a cute outfit, and it looks practical too!